By registering to use the services covered by these Terms and Conditions on logambiru (hereinafter each separately and all together collectively referred to as "logambiru", "logambiru" or "Site"), you are certifying that you are at least 18 years of age, and that you legally acknowledge to have read, fully understand and agree to be bound by and to comply with these "Terms and Conditions." If you do not wish to accept the following terms and conditions, you must neither register nor open an account and you will be unable to access the software and the gaming services offered in conjunction therewith. All product information, registration on the site and use of any services offered by logambiru are subject to these "General Terms and Conditions". logambiru reserves the right to amend these General Terms and Conditions at any time without prior notification. Such amendments shall become enforceable with immediate effect immediately upon publication in the "General Terms and Conditions" section of the logambiru site. It is the user’s responsibility to review the General Terms and Conditions on a regular basis. Continued use of any services of the Site after a change or update has been made to the General Terms and Conditions will constitute your acknowledgement and acceptance of said change or update. These General Terms and Conditions represent the complete, final and exclusive agreement between the user and logambiru. These “General Terms and Conditions” supersede and merge all prior agreements, representations and understandings between the user and logambiru. You confirm that, in agreeing to accept these General Terms and Conditions, you have not relied on any representation save insofar as the same has expressly been made a representation in these General Terms and Conditions. In case of any contradiction between a provision of this Agreement and any provision on the logambiru website, the provisions as stated in this Agreement shall prevail. We reserve the right, at our own discretion, to request any user to furnish us with a proof of identity and age as a precondition before the user is allowed to participate in or utilize any of logambiru’s services. Should there be any dispute concerning a player’s account, logambiru reserves the right to suspend the player’s account until a resolution is reached. Lodging a report of any dispute must be made in writing and must state the date, time and details of dispute. To lodge a dispute, it must be sent via email to [email protected] The Management takes member disputes very seriously and will endeavor to take all necessary and reasonable steps in order to investigate and ultimately resolve all disputes. logambiru reserves the right to suspend and/or terminate any user’s account for any reason whatsoever and at any time without prior notice. Any remaining balance of credit in the account at the time of such suspension and/or termination will be refunded to the owner of the account via a payment method that will be determined by logambiru. logambiru also reserves the right, at its sole discretion, to deem void any winnings and to forfeit any balance of credit or any other winnings or entitlements of any user’s account as well as any user’s use logambiru’s services. Each user is solely responsible for keeping his/her own account number and password secure. Each logambiru user is, without exception, expected to strictly disallow any other person or third party including, without limitations, any minor, from using or reusing his/her logambiru account, from accessing and/or using any materials or information from the logambiru Website as well as from accepting any prize. The user is solely responsible for any purchases and/or losses that are self-incurred or incurred via a third party on his/her logambiru account. logambiru cannot and will not cancel wagers of any player account once they have been confirmed, unless the wager is declared void or unless there are circumstances involving incorrect results and settlements for reasons outlined in these Terms & Conditions. Despite every effort to ensure total accuracy, logambiru does not and will not accept responsibility for any errors or omissions with respect to the information provided on the Website. Stakes will be deducted from the respective player account at the time the Bet is placed, regardless of when the resultsare determined or announced. logambiru cannot and will not refund Bets placed on games where Bets have been purchased for future draws that have yet to be resolved or concluded. Such Bets will be resolved upon completion of such games and winnings, if applicable, will be credited to the respective players’ accounts at that time. 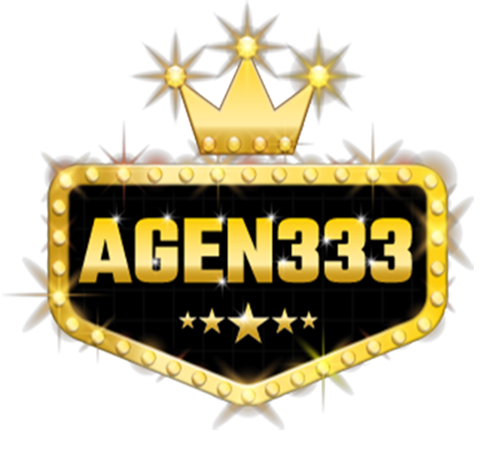 By accepting these General Terms and Conditions, the user agrees that logambiru and its records shall be the final authority in determining the terms of any wagers placed as well as the circumstances in which those wagers were made. Any applicable taxes and fees incurred upon any winnings that have been awarded to you as well as all other payments made to the respective player are considered to be the player’s sole responsibility. logambiru reserves the right to report and withhold any amount from the player’s winnings in order to comply with any applicable law. Winnings cannot be transferred, substituted or redeemed for any other forms of winnings. Automatic playing of Games via the use of any third party software and any form of manipulation of any Games or any player's account data are strictly prohibited and may result in the termination of the offending player’s membership, deletion of all associated accounts, the cancellation and/or confiscation of any outstanding prizes and deposits, as well as civil/criminal prosecution against the offending player. By agreeing to these General Terms and Conditions, the player agrees that logambiru possesses the complete and unfettered right, based on its own discretion, to terminate any player’s account for any reason whatsoever, and without limiting the generality of the foregoing, should it be of the Management’s opinion that the player’s participation on the Website, or on any games offered therein, is damaging to the principles under which the Website is operated. The player hereby waives any and all recourse against logambiru in the occurrence of any such termination. By agreeing to these General Terms and Conditions, the player acknowledges that full freedom from errors is impossible to achieve with regards to computer software. Should the player become aware that the software contains any such error, glitch or incompleteness, the player is legally bound to refrain from taking any advantage of it/them. Moreover, upon becoming aware of such errors, glitches or incompleteness, the player legally bound to promptly notify logambiru in writing. Should you fail to fulfill your undertakings under this clause, logambiru is entitled to full compensation for all costs, including costs for rectifying the software that may arise from the player’s omissions or actions in taking advantage of such errors, glitches or incompleteness. By agreeing to these General Terms and Conditions, the player agrees that logambiru cannot be held responsible for any damage, loss, or injury resulting from tampering, or other unauthorized access or use of the Website or player’s account. Any attempt by any player to gain unauthorized access to the Website's systems or player’s account, to interfere with procedures or performance of the Website or games, or to deliberately damage or undermine the Website or Games are subject to civil and/or criminal prosecution and will result in immediate termination of the player’s account as well as the forfeiture of any and all prizes that the player has and have been entitled to. Members under suspicion of participating in fraudulent and/or bonus hunting activities will be denied their claims of any bonus and possibly face account suspension. logambiru reserves the rights to investigate such members at its sole discrepancy and take whatever remedial action necessary. Prior to releasing or approving any withdrawal, logambiru reserves the right to request any player to furnish the management with required information such as proof of personal identification, front and back copy of credit card/debit card, passport, driver’s license, recent bank statement or other appropriate documentation as logambiru, at its sole discretion, deems necessary. Should the player fail to comply with any security request, logambiru reserves the right to deem void any winnings in the player’s account. Crediting Winnings -- Winnings will be automatically added to the respective player’s account, as deemed appropriate. These updates of the players’ accounts are not 'proof of win' and/or may refer to funds that have been transferred (debited) from your respective account. If upon manual review there is evidence of fraud or malpractice, logambiru reserves the right to void certain winnings and to take appropriate action againstany player’s account accordingly. Bonus Money refers to the virtual money on products that are given to logambiru’s users for promotional purposes. Users cannot withdraw such money right after they have been awarded it. Depending on the type of bonus, different processing rules for bonus monies may apply. logambiru reserves the right to request sufficient proof of a player’s identity at any given time. Such evidence must legally prove a player’s personal information, payment details and/or any other additional information that may be required to pass relevant security checks. No employee or relative of any employee or representative of logambiru may hold a player account at any given time nor take advantage of any promotional offer on the Website. By participating in any promotion run by the Website, players agree to abide by these General Terms & Conditions as well as those listed under each individual promotion. Any player unwilling to agree to these terms should contact the logambiru Support Team for further information. In the event that any terms of the offers or promotions are breached, abused and have not been fulfilled by eligible player account holders, or if there is any evidence of a series of bets placed by a customer or group of customers, which, due to a deposit bonus or any other promotional offer, resulted in guaranteed customer profits, irrespective of the outcome, whether individually or as part of a group, logambiru reserves the right to withhold, cancel or reclaim the bonus as well as all winnings. In addition, to cover administrative costs and processing fees, logambiru reserves the right to levy an administration charge on the player with a value that could reach up to the value of the deposit bonus. The player shall be solely responsible and agree to pay all fees and/or costs incurred, as well as to report and pay all applicable taxes as required by the applicable governing law while using any services of logambiru. All players shall hold the Management of logambiru, its employees, officers, directors, shareholders, licensees, distributors, wholesalers, parents, affiliates, subsidiaries, advertisers, promoters or other agencies, media partners, agents and suppliers harmless and unaccountable immediately on demand and shall fully indemnify any or all of these parties from any and/or all claims, losses, costs, damages, liabilities and expenses whatsoever (including legal fees) that may arise, including those from any third parties. logambiru pledges to offer both fair and timely dispute resolutions and redress without undue cost or burden, by holding detailed wager and transaction records of all its financial dealings. These records are archived for a period of 5 years (from the date of transaction) and are accessible by the dispute resolution authority upon request.